The QT-PRIMOS series is a compact, high-performance turning center designed for providing unsurpassed productivity with minimum floor space requirements. Thanks to the rigid integral spindle motor and the THERMAL SHIELD, high-accuracy and high-speed cutting is ensured. 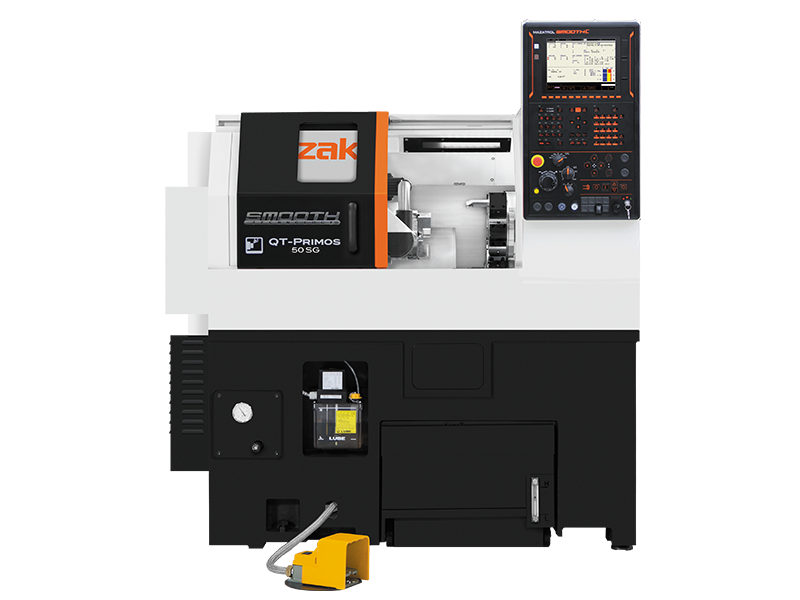 Unsurpassed ease of operation is provided by the lightweight machine front door, large front window, large capacity oil pan, and smooth chip disposal. The QT-PRIMOS 50SG is equipped with a 5” chuck.